The need for project management is on the rise as product life cycles compress, demand for new technologies increases, and business takes on an increasingly global character. Explore our blog and learn more about the innovative Team-Based Approach to Managing Projects. Capturing lessons learned, identifying best practices, deciding what to do differently next time — these are end-of-project activities, right? Not necessarily. Project learning should be an on-going, high-priority activity, not just something a project team considers once the project is complete. In fact, research confirms that we are most invested in identifying what to do differently and better, when the ideas we come up with benefit us. Wise project leaders build in activities that permit learning throughout the project. Consider this example. 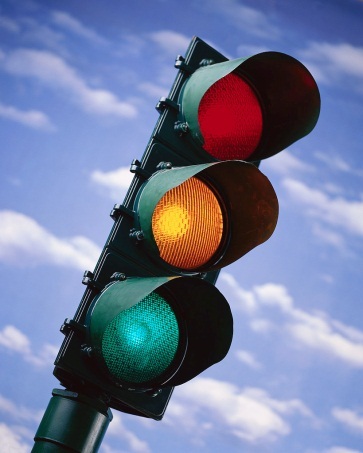 The traffic light process is a simple method for learning during the active stages of project delivery. It requires about 10 to 15 minutes and can be a final agenda item in a regularly scheduled project team meeting. What should we continue doing? Begin by asking each team member to work silently and independently to record one idea about what is happening in the project that should continue. Team members place each idea on a separate sticky note. The facilitator collects the sticky notes, reads them aloud one at a time, and then places each on a white board or flip chart, grouping similarly-themed items together. Things that should continue might include “People pitching in to help team members who are behind schedule or need technical assistance” or “Notifying others when predecessor tasks are ahead of schedule or behind schedule.” The facilitator next asks if there are any special actions needed to be certain these things continue. If ideas are offered, the facilitator records them. What should we stop doing? The group then follows the same process to identify what kinds of things happening in the project should stop. Examples appearing on individual sticky notes might include “Late handoffs” or “Long team meetings.” Once these ideas are posted and grouped, the facilitator asks if there are actions the team or project leader can take to address these concerns, and then records them. What should we start doing? Finally, the team follows the same process to identify actions that should start. Examples might include “Feedback from customers before key milestones are complete” or “Notes to team members’ functional bosses letting them know about the individual’s contributions to the project.” Again, after ideas are posted and grouped, the facilitator asks if there are actions that would help make them possible, and records them. Note that in this process each person contributes only one idea in each category. This keeps the process brief and forces people to focus on what is most salient to them. Project Learning – Just do it! Too few project leaders make project learning a routine part of their projects’ operations, but it is essential. Think of each project as having two objectives. The first is to successfully deliver the product, service, or event, and the second is to advance the organization’s knowledge through deliberate learning efforts. Upcoming Workshops and Seminar details will be listed here. Does Your Project Have a Brand?